The notion that genetic damage is the underlying cause of cancer comes from two apparently contradictory lines of evidence on the nature of carcinogenesis. On the one hand, many genomic changes found in malignant cells, such as point mutations, amplification, translocation, and various other rearrangements induced chemically or by retroviruses, have been shown to result in the activation of a set of genes termed oncogenes . These genes, when introduced into target cells either as part of a virus of by DNA transfection can confer neoplastic transformation on the target cells. 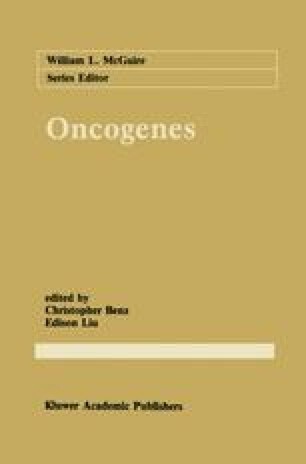 The existence of these oncogenes suggests that tumorigenicity may be dominant in nature. On the other hand, there is equally compelling evidence to suggest that recessive genomic changes may underlie the neoplastic phenotype of tumor cells.